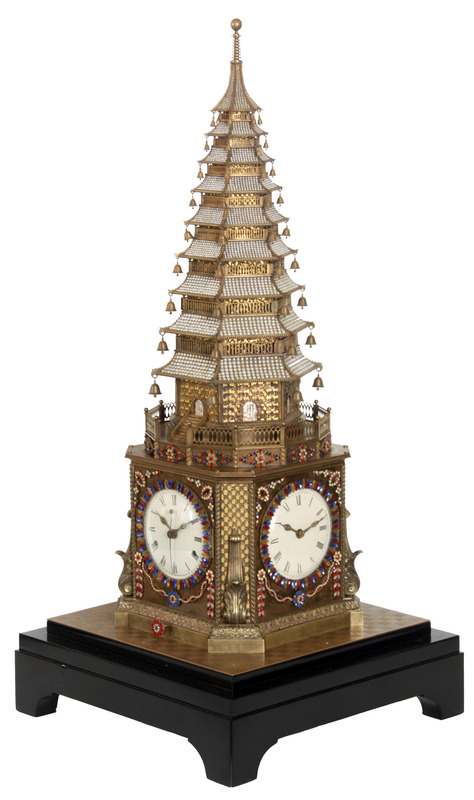 An exquisite 18th century English-made automaton musical clock in the shape of a multi-tiered pagoda sold for just shy of a million dollars ($998,250) at Fontaine’s in Pittsfield, Massachusetts, last month. 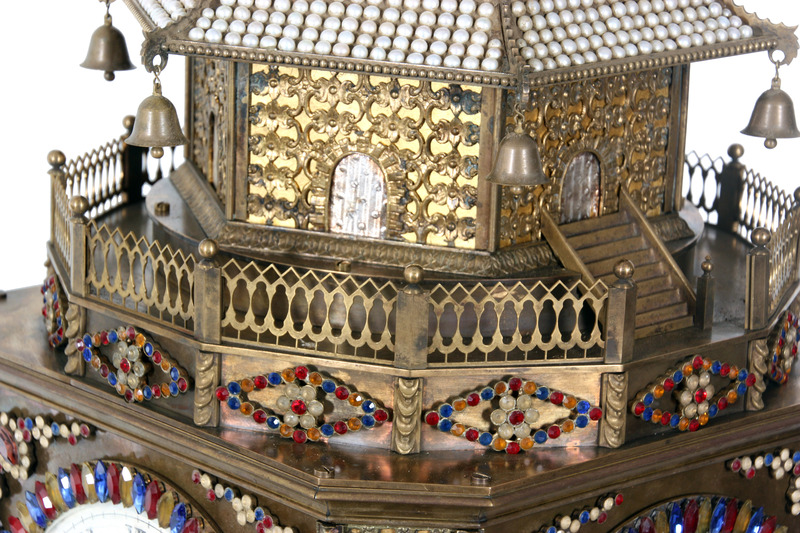 The large and powerful double fusee chain automaton movement is responsible for both raising and lowering the pagoda tower in a controlled manner as well as playing 2 different tunes on a nest of 8 bells, including Chinese folk song, Mo Li Hua, which has been popular since before the 18th century in both China and abroad. The pagoda animates every 2 hours, corresponding to the 12 hour Chinese zodiac time system as well as the music, which also plays every 2 hours accompanying the automation of the pagoda. 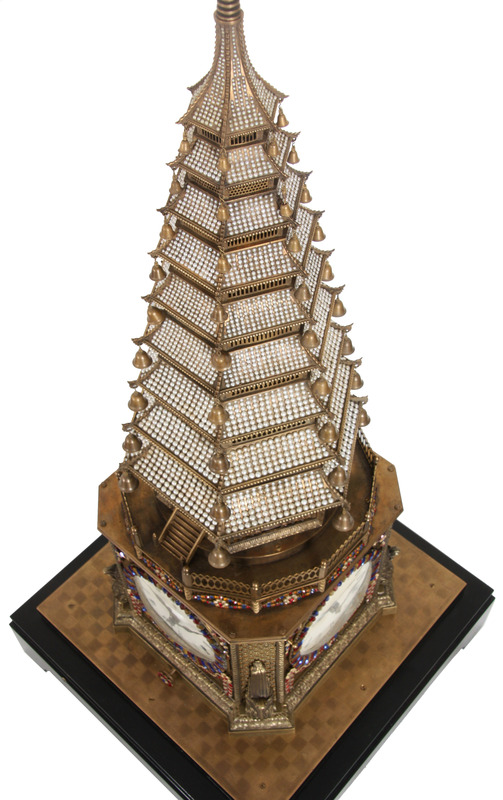 Produced for the Chinese Qing Imperial Court, the automaton’s striking design was based on the Porcelain Tower of Nanjing, aka, the Temple of Repaid Gratitude, a pagoda built in the 15th century by order of the Yongle emperor (r. 1402–1424), third emperor of the Ming Dynasty. Construction began in 1413 in the imperial capital of Nanjing (then Nanking) and took almost 20 years to complete. Built on an octagonal base, the tower had nine tiers topped with a pineapple-shaped brass sphere. The pagoda soared to a total height of 260 feet. A spiral staircase inside the structure had 184 steps to the top. It wasn’t the tallest pagoda in the empire, but its white porcelain bricks, decorated with animals, flowers, Buddhist motifs and landscapes in a multi-colored glazes made it the most striking. Bells hung from every corner of every tier, strung from chains connected to roof finials. When the wind blew, their dulcet tones could be heard for miles. It was widely considered the most beautiful of all the pagodas in China, and visitors from the West showered it with praise. Many classified it as one of the (post-medieval) Seven Wonders of the World. 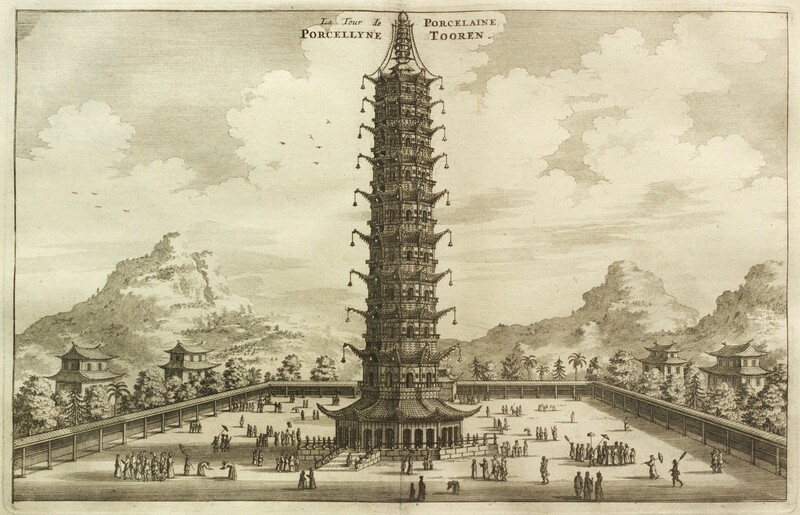 The reports of the wonderous Nanjing tower launched a trend of pagoda construction in 18th century Europe. The fashion for Chinoiserie had exploded, and with pagodas it went big. Kew Gardens in London got itself a pagoda in 1762. The nobility had pagoda follies built on their estates. Smaller versions were popular for interior decoration. 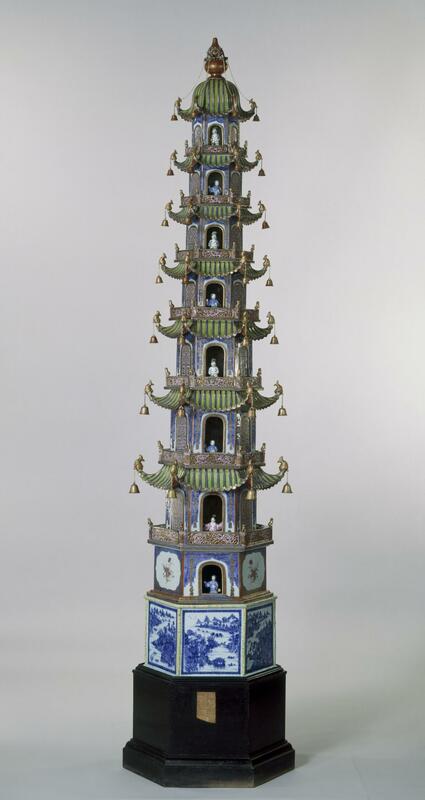 There’s an elaborate nine-foot-high porcelain model of a pagoda in the Victoria & Albert Museum thought to be a replica of the Porcelain Tower. It’s not an exact copy — there are different numbers of tiers and the base is hexagonal — but the polychrome porcelain tiles, animal and plant decorations and the bells hanging from the roof finials and the brass sphere topping the tower identify its inspiration. 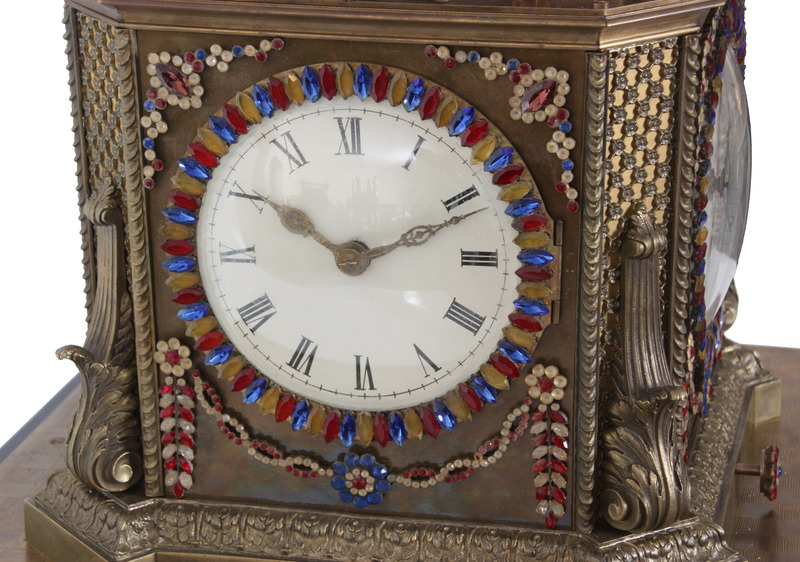 The model was made in the first 15 years in the 19th century and was bought by the then-Prince of Wales for the Royal Pavilion, Prince George’s splendid Indo-Saracenic Revival seaside estate at Brighton. 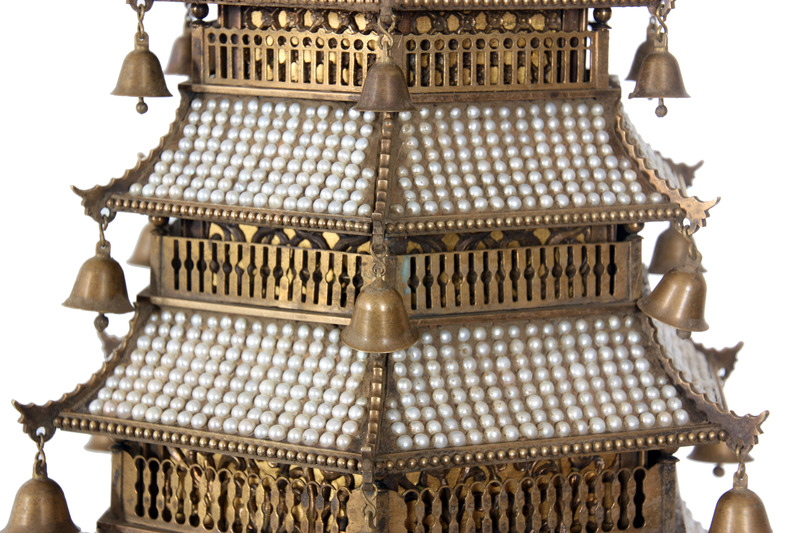 Records in the Royal Archive indicate the pagoda was one of six bought by the prince between 1806 and 1816. George’s gluttony for porcelain pagodas is evidence of how extremely fashionable they were at this time, and the archives confirm that they were very expensive, luxurious objects. The Porcelain Tower was by lightning in 1801 but was repaired. It could not survive the Taiping Rebellion, sadly. In March of 1853, the Taiping took Nanjing. The tower didn’t have much of a chance with the rebels targeting Buddhist iconography and imperial symbols, both of which it incarnated. First to go was the inner staircase, which the Taiping rebels destroyed ostensibly to keep enemy fighters from using the tower as a spying post. Three years later in 1856, the rebels razed it to the ground. Now the replicas, inspired-bys and this fantastic automaton is all we have left of the original. View this video full screen to see the automaton’s amazing movement at the beginning and around the 1:30 mark.